Have you ever thought about the reality behind werewolves, the monstrous shape-shifters? Do you fear going out in the full moon? A majority of people do so and most of us do believe in the existence of werewolves. Perhaps, this is the result of endless sightings of werewolves around the globe and recurring illustrations of the creature in popular fiction. Whatever we know about werewolves is all thanks to myths, movies, and novels. Werewolves love to hunt during a full moon, they are scared of silver, and they can easily mingle with ordinary humans whenever they want. Is it all true? Maybe and maybe not! What is true is that even the mere thought of meeting a werewolf is terrifying for all. These mythological man-wolf creatures have remained an important part of the cult literature. 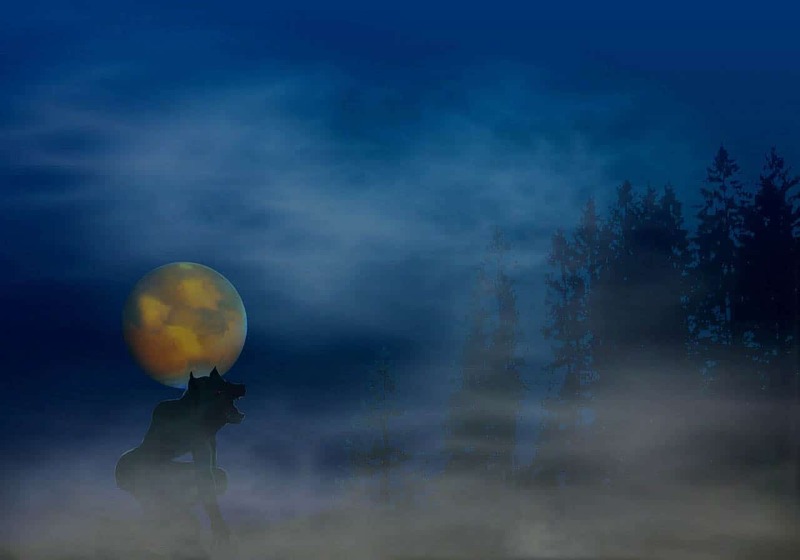 Throughout the course of world history, we have come across many myths, folktales, and incidents involving werewolves. Many legends across different continents and cultures are associated with werewolves. Almost all legends refer to werewolves as people who transform into powerful wolves and become bloodthirsty beasts. These creatures have a penchant for both humans and animals. Yet, there is no clear proof about the actuality of werewolves. Hollywood although has romanticized the legend through churning out movies like Twilight. However, don’t forget that reality is always stranger than fiction. So, let’s find out more about werewolves and understand whether these do exist or are merely a myth. Werewolf, man-wolf, wolf-person, and shape-shifter all refer to the same creature. In Latin, the term used for werewolves is Lycaon, which means “animal of the wolf kind.” A werewolf is a human having the ability to transform itself into a wolf-like creature. It is unclear how this transformation takes place, but according to folklore, it is more a curse than a characteristic. People who get bitten by a werewolf become one too. It is also stated that this transformation may be permanent or temporary. Many believe that the man-animal creature is a metamorphosed or mutated human. It could be a person’s soul that leaves the body in a trance-like state and goes on a hunting spree, some believe. Many agree that it could be a spirit that shares a deep connection with its owner. This connection is so strong that any injury to the spirit causes the human to get injured too. This is called the repercussion phenomenon. However, there is no consensus among theorists regarding what a werewolf actually is. As far as physical characteristics of a werewolf are concerned, there is consensus on many traits. According to European folklore, the physical traits of a werewolf remained the same even when it was in human form. These traits included thick eyebrows that met at the bridge of the nose, pointed, low-set ears, curved fingernails, and a wavering gait. In its animal form, the description of the appearance of the man-wolf varies in every culture. 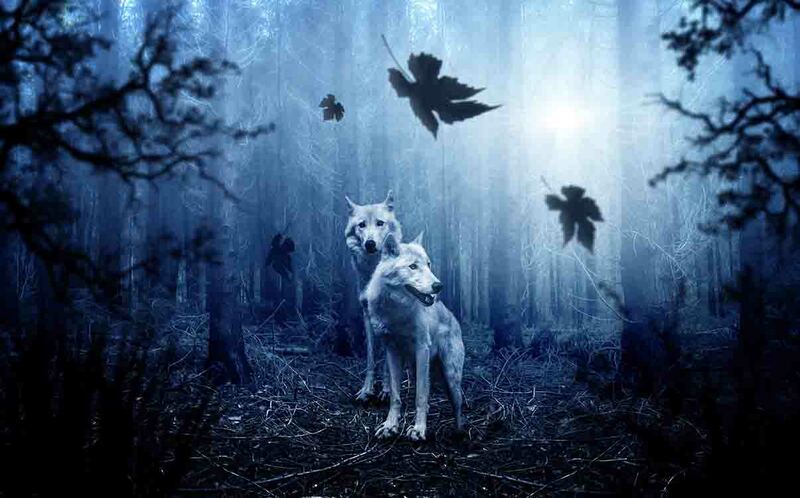 Typically, it is depicted to be different and indistinguishable from common wolves. 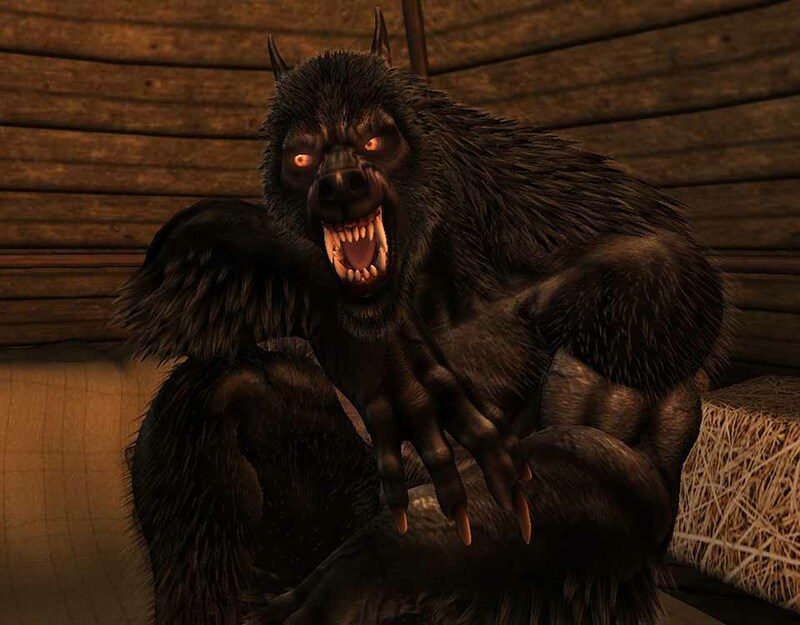 Such as, a werewolf in its animal form doesn’t have a tail, and it appears larger than normal wolves. Moreover, when in animal form, the werewolf retains its human voice and eyes. Swedish believe that a werewolf walks on three legs and stretches the fourth leg to resemble a tail. When a werewolf transforms from animal to human form, it usually becomes weak, debilitated, and experience severe nervous depression. In medieval Europe, it was commonly believed that werewolves loved to devour freshly buried corpses. Some also believed that werewolves could easily paralyze cattle, and children with their gaze. In ancient mythological accounts, werewolves were actually possessed old females or witches having poisonous claws. The method of identifying a werewolf from other humans also varies greatly from culture to culture. A common assumption is that cutting the flesh of a suspected werewolf may help in identifying one. That’s because the fur would then be exposed from the wound. In Russia, it is believed that a werewolf can be detected if it has bristles under the tongue. Werewolves have remained an integral part of myths and legends of various cultures from ancient times. Any historical account detailing such a creature surfaced firstly in the 5th century. A battle between the Isaurians and the Roman Empire was documented by Procopius of Caesarea. According to the records, the Isaurians were harmless farmers who were called to battle by the Romans. Since they didn’t have the necessary skills or resources to wage a war, so they got slain. The point to be noted in Procopius’s accounts is that the Isaurians were referred to as Lycaones, which is derived from Lycaon. Lycaon means wolf. However, there is another perspective behind naming Isaurians as Lycaones. Procopius might have used the term for Lycaonians, a community living at the Asian Minor quite close to the Isaurians land. Yet, believers still claim that the Isaurians were werewolves and this is how the legend originated. The concept of a werewolf was then adopted by many cultures and a number of legends originated. Many scholars also believe that the legend originated in the Epic of Gilgamesh. It is probably the oldest and earliest written prose in the west. The story narrates the story of Gilgamesh who rejected his lover because she converted her previous mate into a wolf. The legend of werewolves made its debut in Greek mythology as the Legend of Lycaon. King Lycaon was the son of Pelasgus who angered Zeus. Zeus was angry because Pelasgus served a meal made from the remains of a boy who was sacrificed. Zeus punished Lycaon and his sons by turning them into wolves. The term Lycanthrope or Lycanthropy has been derived from the name of the King Lycaon. When native Indians roamed the Americas, they had believed in shapeshifting creatures. It was their sacred belief that an animal totem or spirit guide was associated with humans. This guide may take physical form at times or may always remain spiritual. Shapeshifting was highly revered by Native Americans. In ancient Chinese folklore, animals could transform into humans. This belief was further established after three shape-shifting animals were identified in Chinese mountains. The three animals included a Fox spirit called HuXian, Da Yu (which was a bear), and dragons. Africans also contributed to the legend of werewolves by providing accounts of people who transformed into huge crocodiles. There are stories of witty hyenas roaming around the villages in human and animal form. Not only were-hyenas but Africans had were-cats, which were believed to be witches. It is from the African folklore that black cats got associated with witches. The concept was later passed on to Europe during the Middle Ages. However, were-cat was a less common belief while a majority in Africa believed in the existence of werewolves. In Nordic folklore, werewolves are mentioned in the Saga of the Volsungs. It is a story about a father and son. They discovered wolf furs, which could turn people into wolves for ten days. Both of them donned the furs to become wolves and went on a killing spree within the forest. Eventually, the father attacked his own son, due to which the son was wounded badly. To save his son, the father asked for help from a kind raven, who gave him a leaf having healing powers to treat the wound. Renowned folklorist Carol Rose narrated legend of werewolves from ancient Greece era. She wrote a book titled Giants, Monsters, and Dragons, in which she described Greek werewolf legends. She mentioned that in Greece, people believed that a human could become a wolf by eating wolf meat. This wasn’t an ordinary meat but was mixed with a human’s flesh. After consuming this meat, a person could permanently transform into a wolf. Rose wrote that after a few centuries people devised new theories for converting a human into a wolf. This included being cursed, eating certain herbs, or drinking water touched by a wolf. Additionally, people associated full moon and new moon with werewolves quite commonly. It was also believed that a child conceived under a new moon would be born as a werewolf. Also, Greeks were sure that sleeping under the full moon on a Friday night would turn a human into a wolf. Scottish and Irish folklore also mentioned shapeshifters, which they term as selkies. Selkies were creatures who lived as seals in cold oceans and could change into humans by shedding their furs. The only twist to the tale is that selkies were supposed to hide their furs. If their furs were found, they couldn’t change back into seals ever. So, they were supposed to live on land with those who possessed their furs. Hollywood has created its own set of myths and ideas about werewolves. The most commonly used theme is that werewolves are afraid of silver. So, to kill one, all you need is a silver bullet or a silver knife. Hollywood movies also mention an herb namely wolf’s bane. This herb has the power to deter a werewolf from attacking. There is no evidence of these aspects being documented in any of the legends and might be the product of filmmakers’ imagination. In the Middle Ages of Europe, it was believed that werewolves could only be killed by burning at the stake. This theory is probably inspired from witch burnings, which was a common norm across Europe. Alternately, Europeans also believed that werewolves could be killed by beheading. Scientists claim that any situation, incident, or phenomenon that humans fail to understand or explain, they make it a legend. The same is the case with the legend of werewolves. Science has provided many explanations about werewolves, which are described below. Congenital hypertrichosis lanuginosa (CHL) is sometimes referred to as the werewolf syndrome. Scientists are of the opinion that those who suffer from hypertrichosis are viewed as werewolves. The reason is that in hypertrichosis, thick hair starts growing all over the body, including the face. Imagine the plight of those who were hunted as werewolves while they were suffering from hypertrichosis. As we all know that the lanugo, a kind of soft hair, is present on all newborn babies. These hairs usually shed after a few months. However, the lanugo hair doesn’t shed in those suffering from hypertrichosis rather continue to grow. Eventually, it covers the entire body. Other skeletal abnormalities may occur in sufferers of this condition. This condition cannot be treated as yet but sufferers are encouraged to get the hair removed temporarily through electrolysis or laser therapies. Scientists admit that it isn’t a very common condition. So far, there haven’t been even 100 cases of hypertrichosis in the world. This aspect makes it all the more difficult to study the condition. All that we know is that it is a hereditary disease. It is a rare medical condition primarily associated with neurological health. In this condition, the patient starts believing that he has the ability to transform into an animal. Patients have this delusion that they can or have at least once transformed into a non-human animal. Dr. Jan Blom, from the University of Groningen, researched most over this theory. Dr. Blom claims that for about a hundred years clinical lycanthropy was explained in a metaphysical manner. But today, modern science has categorically concluded that it is a brain disease. Blom stated that in the past decade many brain imaging studies highlighted a certain area of the brain that creates a sense of physical existence. This particular part is affected during lycanthropy. Any changes in this part of the brain can alter a person’s sense of physical identity. This condition is quite similar to schizophrenia, bipolar disorder, and/or severe depression. Congenital porphyria is also called the vampire disease. Guy’s Hospital in London’s Dr. Lee Illis wrote a paper titled On Porphyria and the Aetiology of Werewolves in 1963. Dr. Illis argued that the historical accounts describing werewolves are actually about people suffering from congenital porphyria. The condition is the result of a natural buildup of chemicals producing a compound called porphyrin. This compound is essential for the functioning of hemoglobin. It is called vampire disease because patients start showing symptoms that resemble vampire traits. Their skin becomes sensitive to sunlight, urine turns purple or red, and gums shrink so much that teeth become too prominent. Reddish teeth, photosensitivity, and psychosis are also common symptoms of this disease. These are also commonly known traits of werewolves. Scientists claim that the human body isn’t designed to facilitate inter-species shifts/transformations. If we do believe that a human can be transformed into a werewolf, then this would mean the bones would be broken. Moreover, tendons and muscles would have to snap. The transformation process will shake the entire body system. This would create nothing else but a mess of bones and muscles. Human DNA would unravel like a sweater having a loose string which a child is stretching. Therefore, to physically transform into such a large species as a wolf is quite impossible. El Chupacabra is a werewolf-like creature that exists in the southern United States region. It is believed to be a bloodthirsty monster having coyote like features. Almost every southern state has had its fair share of incidents where this creature has attacked animals. In fact, the sightings of chupacabra have extended from Mexico and Puerto Rico to as far as Russia over the years. Farmers claim to have found remains of chupacabra but those turned out to be carcasses of foxes and coyotes suffering from mange. The creature is supposed to be a coyote and its huge size is a result of mange infection. Mange is a skin infection in which all the hair of the animal’s body shed. Farmers state that chupacabra attacks after midnight and like to hunt for livestock. All of its victims died due to excessive blood loss. This proves that chupacabra is a blood-sucking animal. Rabies is a disease caused by a virus. It attacks mainly the central nervous system due to which the moods and behavior of the patient change drastically. Patients of rabies become demented and violent, pretty much like werewolves and vampires. The disease may also cause insomnia, which explains why werewolves are termed to be nocturnal legends. Muscular spasms are also observed in rabies patients. This may force them to spit blood. Interestingly, these spasms are triggered by mirrors, strong odor such as that of garlic, bright lights, and water, etc. In fact, Dr. Gomez-Alonso states that rabies inspired the legend of the vampire. Dr. Gomez-Alonso published his theory in 1998 in Neurology medical journal. While Ian Woodward wrote in his research The Werewolf Delusion (1979) that the werewolf myth is inspired by rabies. That’s because rabies is transmitted via biting. People with rabies become so agitated that they may behave like animals. The two Frenchmen were considered werewolves back in the 1520s. However, both turned out to be serial killers. It was reported that the two criminals swore allegiance with the devil. They claimed to have possession of an ointment that could transform them into wolves. Burgot and Verdun brutally murdered many children. At the time people believed that werewolves could only be killed by burning at stake. Hence, the duo was burned to death in the same manner. In 1692, a case was brought to the court of Jurgenburg, Livonia, located at the eastern side of the Baltic Sea. The accused was an 80-year old man named Thiess. The case was that Thiess claimed to be a werewolf. He said that he became a werewolf after a person or a witch named Skeistan strike him and broke his nose. He also claimed that several witches were preventing crops from growing in his area. So, he decided to fight them as a werewolf. He had support from a pack of werewolves. Residents of his area deemed him to be in alliance with the devil, but Thiess rejected these claims. A priest was sent to chastise him but he refused. Out of desperation, the judges ordered Thiess to be given ten lashes for having superstitious beliefs. Jean Grenier is another Frenchman nicknamed as the werewolf of Dole. In the 16th century, Grenier also claimed to possess an ointment that could transform him into a wolf. It is reported that Grenier used to kill children and then ate them. He met the same fate as the other two Frenchmen, as he was burned to death at the stake too. It is believed that all the three werewolves in France were under the influence of a hallucinogenic substance, or were mentally ill. Since Europeans in the 15th and 16th centuries were quite superstitious, therefore, they considered them mythical beasts. Perhaps the most well-documented and famous of all real-life werewolves are sighted in the state of Wisconsin. Specifically, a southern town called Elkhorn is believed to be the breeding ground of werewolves. There have been around a dozen different incidents involving werewolves. Eyewitnesses claim to have seen a 5 to 8 feet tall creature that looks like a wolf. One of the witnesses stated that the creature was pulling out a dead deer from his vehicle. Many of the witnesses gave interviews to Fox News, which are still available online. So, if you want to learn more about the werewolves of Wisconsin, then search for them. The legend of Michigan Dogman is quite similar to Wisconsin’s werewolf. The stories of the dogman started appearing from the 1930s. A person named Robert Fortney was fishing somewhere on the banks of a river located in Michigan when he saw a pack of wild dogs emerge from the woods. The pack was heading towards him. Luckily he was carrying a gun, which he used to fire a shot to disperse the dogs. All the dogs ran away but one stayed and looked at him directly while standing on two hind legs. Fortney swears by seeing the dog smile at him and showing similarities with humans. While giving an interview in 1987, Fortney claimed that the dog had green eyes, which was a rarity. This is a very popular story and even a song titled “The Legend” is written for this incident. In the 15th century, a wealthy farmer named Peter Stubbe from Bedburg, Germany became famous as a werewolf. He is believed to be the most notorious of all real-life werewolves. Legend has it that Stubbe transformed into a wolf-like creature at night and hunted for innocent citizens. Eventually, Stubbe was captured and accused of killing many citizens gruesomely. Eyewitnesses who helped in his capturing verified that they saw him shifting shape from wolf to human. He was executed after he confessed to killing animals, and humans including children and eating their flesh. Stubbe claimed that he had a magical belt that empowered him to transform into a wolf whenever he wished to. That particular belt was never located. Many novels have been written on the theme of werewolves but by far the most popular one remains Bram Stoker’s Dracula. Written in 1897, Dracula features a short story titled Dracula’s Guest. In this story, a group of soldiers comes to help the protagonist who is hunting for a great wolf. The wolf can only be killed by a sacred bullet. Count Dracula also claims in the novel that it was his Szekely racial bloodline from where the legend of werewolves originated. Count Dracula had the ability to shapeshift into a wolf too but only during the night. The concept of a full moon was explored in the movie Frankenstein Meets the Wolf Man (1943). It was from then on that the full moon became so closely linked with werewolves in popular culture. The 1935 movie Werewolf of London is the first feature film made on werewolves as the central theme. A London-based scientist is shown to be a werewolf in reality but the movie doesn’t show him as a cannibal. Another movie was made in 1941 titled The Wolf Man. Lon Chaney, Jr. played the protagonist Lawrence Talbot in the movie. Jack Nicholson donned the avatar of a werewolf in his 1994 flick Wolf. Later on, werewolves were depicted by Hollywood as heroic supernatural creatures. Movies like the Twilight Saga series, the Underworld series, Blood Lad, Dance in the Vampire Bund, and many others were made. One of the most famous novels to have been adapted into a movie is The Howling by Gary Brandner. It can be assumed that werewolves are nothing else but a myth. Scientific explanations are quite substantial in proving that it is quite impossible for a human to shape-shift so easily. We can say that werewolves should be taken as mythical creatures that make an amazing theme for horror stories. It cannot be overlooked that werewolves have a cult following and many incidents report about the sighting of a wolf-like man. But, it could be a person suffering from the werewolf syndrome. Those having this condition can exhibit wolf-like habits, including howling at the moon. So, go watch your favorite werewolf movie without worrying about the actuality of the creature. Werewolves are better left in folklore and enjoyed as legends.